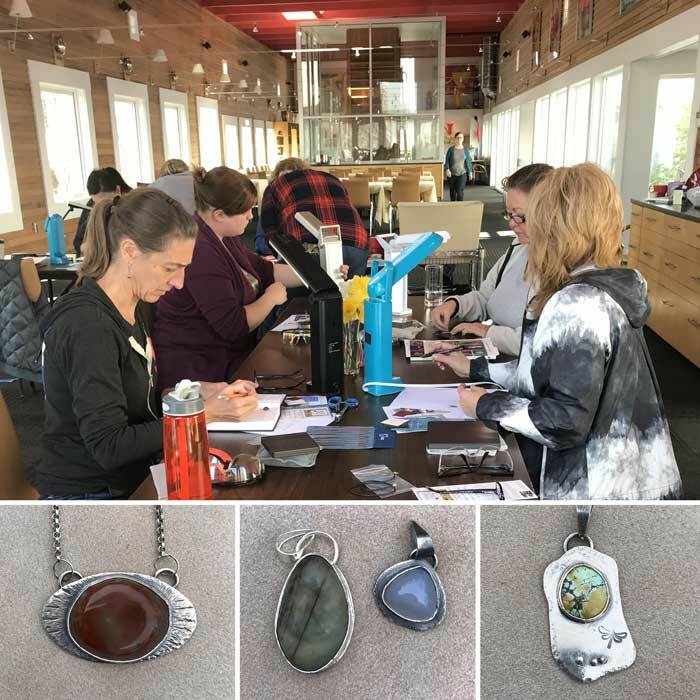 FROM THE "NEVER HEARD OF A JUMP RING" beginner jewelry designer to the torch slinging jewelry adventurer, everyone is invited to my winter jewelry workshops. 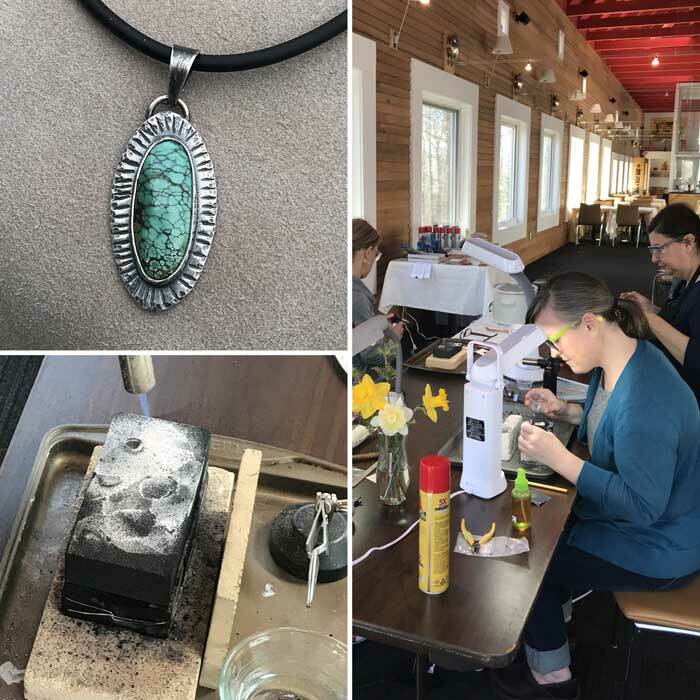 It's a unique, creative space at the Wild Rice Retreat, established to teach jewelry technique and design. 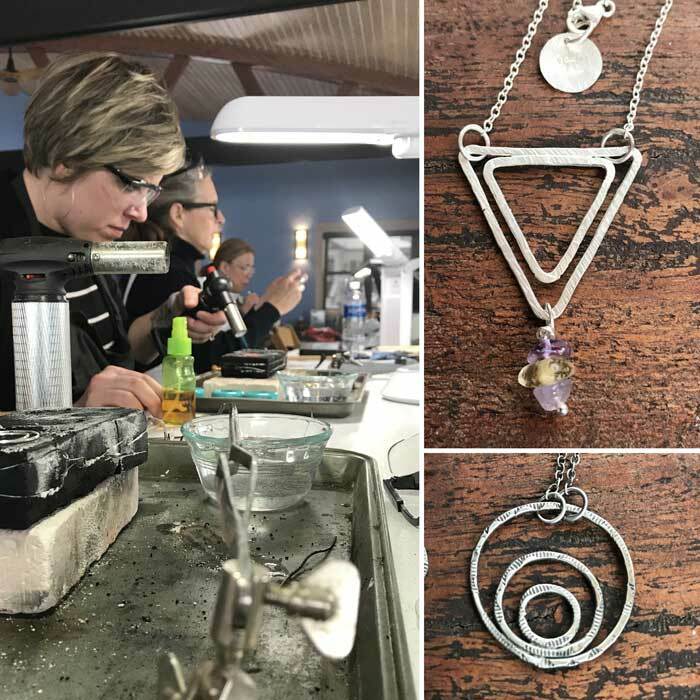 Workshops offer classes in a fully equipped studio with torches, saws, dapping sets, soldering stations, hammering station, with helpful assistance and instruction. All you need is your desire to learn and create. 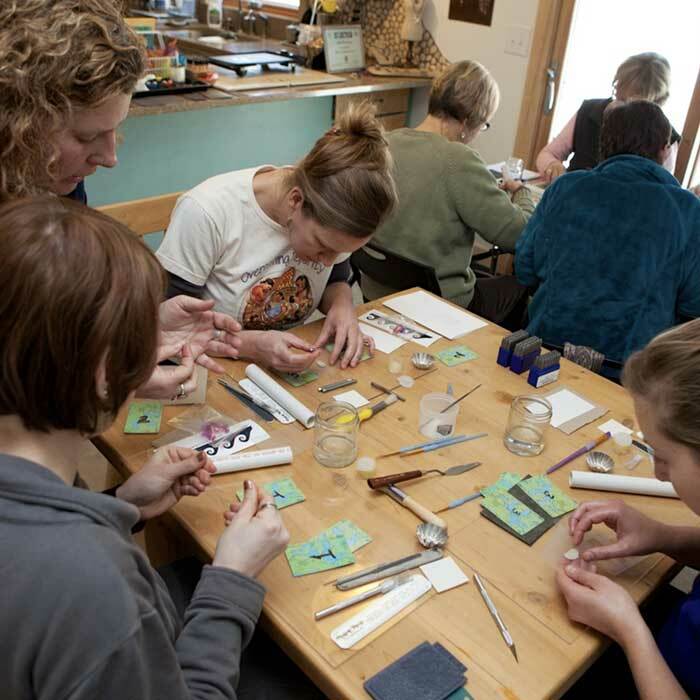 Hosting a workshop is a fun way to celebrate your next birthday party or girls weekend. 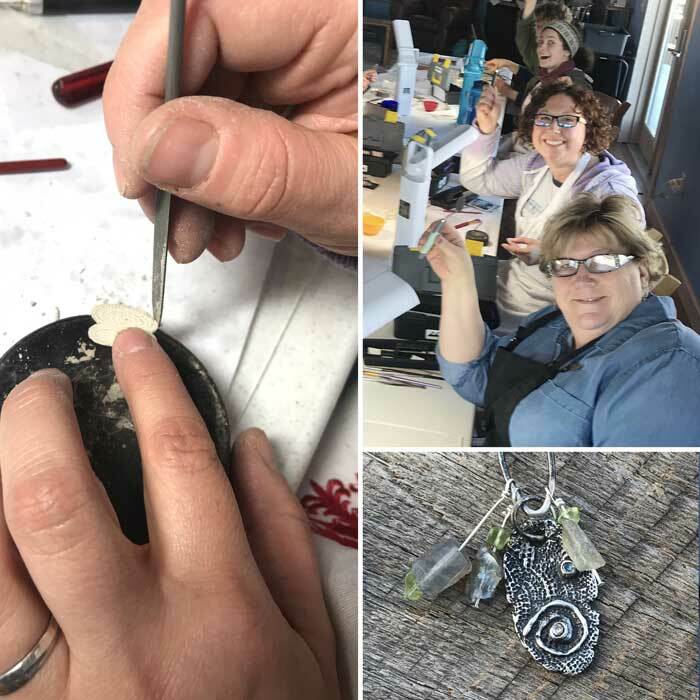 From Intro to Precious Metal Clay to Beading and Metalsmithing, contact me today to talk about which workshop might be a hit at your next gathering. 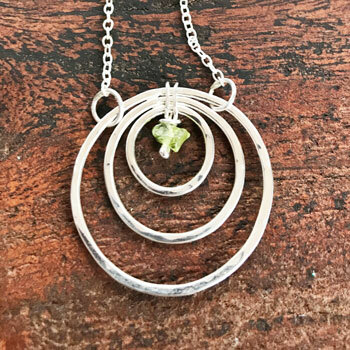 Do you not where to start when it comes to your own soldering set-up? This tool list will get you off on the right foot with a breakdown of tools from a charcoal block to a cookiesheet. 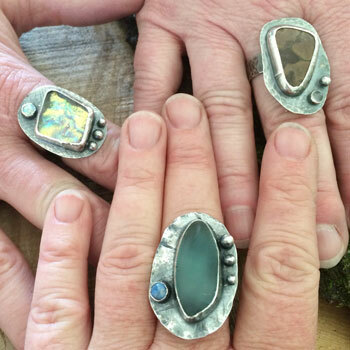 I made my start selling jewelry 20 years ago at this amazing show, thanks to the support of Rutabaga and Darren Bush. 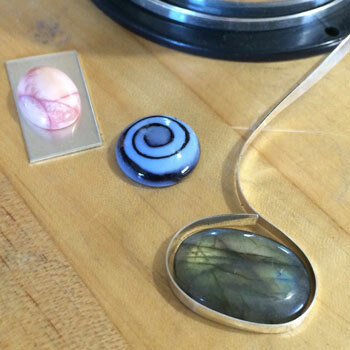 My first pieces were kayak related as I was guiding sea kayaking trips in Baja and the Apostle Islands at the time. It was a small table, with just a few pieces and only my sister helping. These days I have doubled my booth, which I have friends and family rotating in to help me over three days. 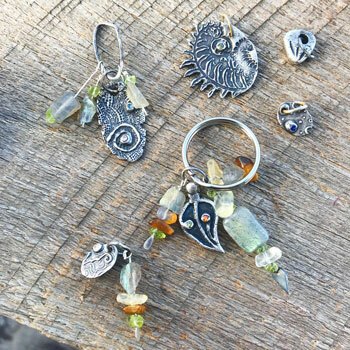 I'm so thankful for my Silverwaves family and the extended family of people who stop by the booth to talk kayaking, adventuring and jewelry. My niece has been at the show every year of her life—including when my sister was pregnant with her! Which also means my sister has supported me every single year that I have been there.